DMZ is highly recommended for security reasons and a best practice. No best practices supporting one or the other. On the domain has advantages regards manageability, just needs additional firewall ports opened from the DMZ to talk to DC & DNS server(s). Are clients already using an internal web address? If yes then clients will need to be migrated to using the external address; alternatively can create an additional View Connection Server for the link to the Security Server and external URL. Remember the View Connection Server just brokers the connection. Abbr. 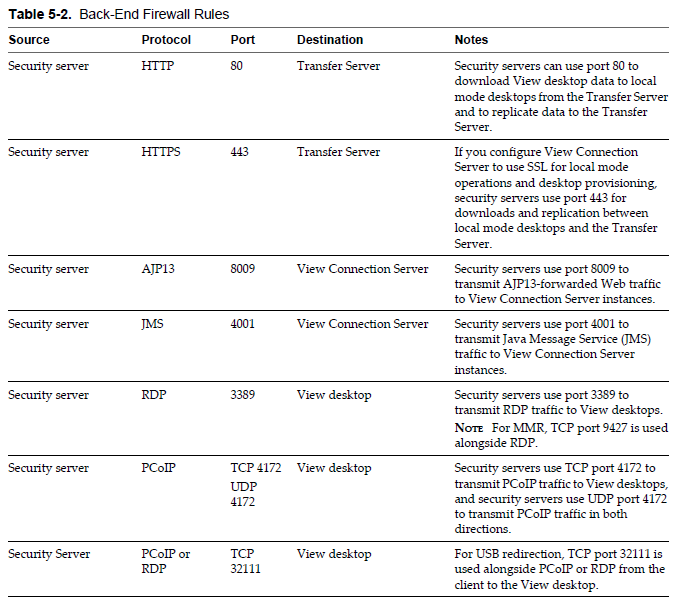 : Any source to Security Server on ports 80, 443, TCP 4172, UDP 4172. Abbr. 1: Security Server to Transfer Server on ports 80, 443. Abbr. 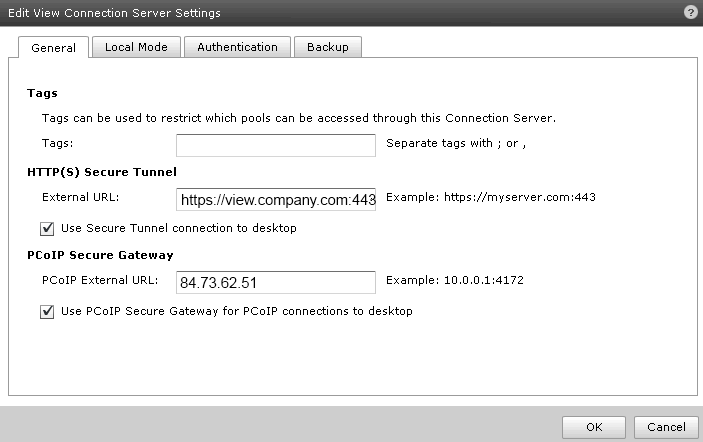 2: Security Server to View Connection Server on ports 8009, 4001. Abbr. 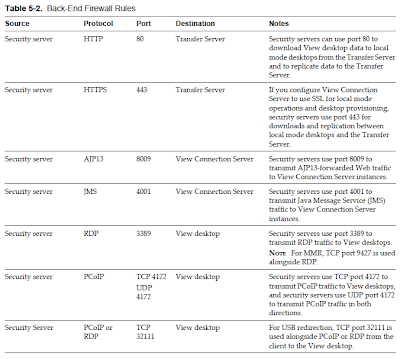 3: Security Server to View Desktop on ports 3389, TCP 4172, UDP 4172, TCP 32111. 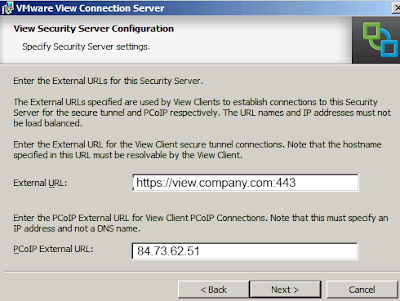 The following step-by-step walkthrough specifically runs through installing one View Security Server into an existing View 5 environment, with an Autocsr Domain Wildcard SSL certificate (for say *.company.com) obtained from Globalsign. There is no Transfer Server in this environment. 1.2 Under View Configuration > Servers, select the View Connection Server > More Commands and click 'Specify Security Server Pairing Password...' and then enter the pairing password. 2.1 On the View Security Server, double click on the VMware-viewconnectionserver-x86_64-5.0.1-640055.exe and follow through the prompts to install the View Security Server, entering the pairing password when prompted. This stage will require the public IP address and public URL to be input. 3.1 Obtain PKCS#12 wildcard certificate *.pfx from SSL certificate provider, and intermediate.cer file. 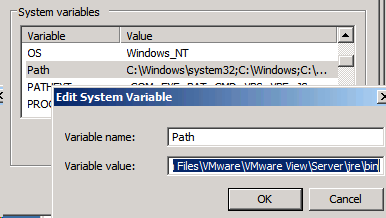 3.5 Restart the VMware View Security Server service. Finally, back in the View Administration Console, edit the View Connection Server properties so that the ExternalURL and PCoIP External URL settings match with the View Security Server, and tick the 'Use PCoIP Secure Gateway for PCoIP connections to desktop'.